Ueno: Thriving Temple Town and Leisure Spot for Edokko! A walk through Tokyo’s most famous (and oldest) temple and the surrounding neighborhood! Asakusa is home to Sensoji, a temple dedicated to the goddess of Mercy, whose statue is said to have been pulled from the Sumida River in 628AD. 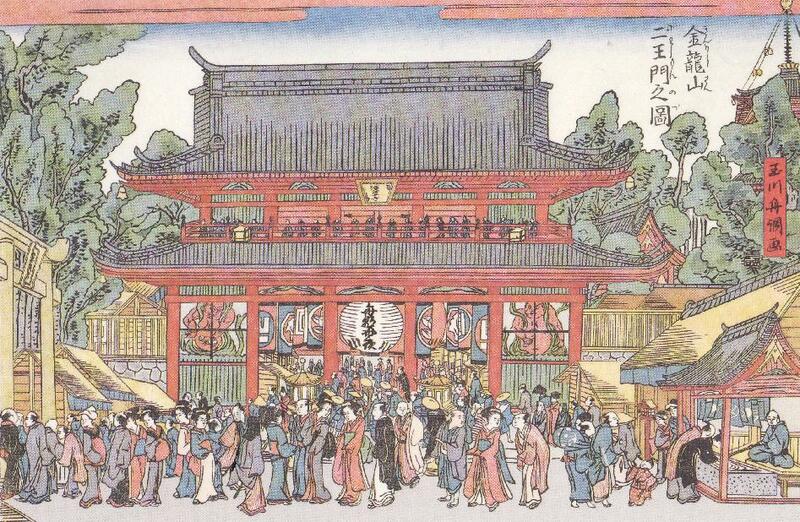 It was also a destination that had attractions for those with more earthly desires – the nearby Saruwaka-cho kabuki district and licensed prostitution quarters of Yoshiwara drew people from all over Edo. Home to monks, magicians, actors, and acrobats, Asakusa was Edo’s liveliest amusement quarter from the mid-1600s until the start of World War II – the epicenter of culture, fashion, and entertainment for all of Tokyo. Starting at the place where two fishermen brothers brought the statue ashore, our walk will take you under historic gates, past shops where young women famed for their beauty drew men from all over the city and became the subject of dozens of ukiyo-e prints. Learn the story of the TWO statues of Kannon, one of which has been hidden from view for more than 800 years, and visit a shrine dedicated to a woman who found a fortune in her garden and re-buried it. Join us as we take a Walk through one of the most historic and important areas of Tokyo! Ueno Park is one of the most popular tourist destinations in Tokyo- with its many museums , the Ueno Zoo, and Shinobazu Pond, it draws millions of visitors a year, both foreign and Japanese. 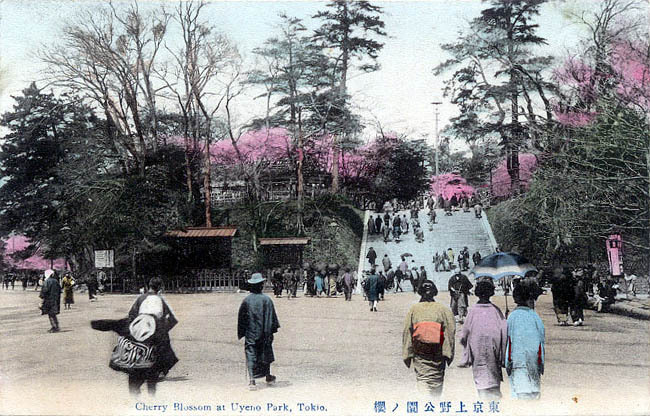 It has been famous for its cherry blossoms for more than 300 years and and so are the crowds who come to eat, drink, and be merry during Hanami season. 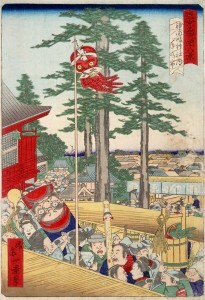 It was also home to one of the most important temples in all of Edo and that it had a very important role as “kimon” – the “gate” that protected Edo from malicious spirits. Ueno Park is the site of a pivotal battle and one in which the real “last samurai” commanded troops against the doomed Shogunate. We will visit Yushima Tenjin, where students of all sorts come to pray for success in their studies and also known as one of the best views in Edo. We will walk the park and delve into its past, stopping to view all that remains of the “Great Buddha”, one of Edo’s bell towers, and shrine dedicated to the first Shogun, Tokugawa Ieyasu, all the while enjoying its beauty. The area now known as Akihabara was once a major crossroads of Edo, a neighborhood where samurai and commoner, lordly estates and tenements, shops and temples all mixed. See how it was transformed from one of the city’s main gates into one of Tokyo’s major transportation hubs and then into the center of all things electronic in Japan. We will jump through time exploring Akihabara’s rich history – visiting one of Tokyo’s oldest temples, dedicated to a rebellious samurai lord whose wrathful spirit has brought death and disaster to Edo, and then walk remnants of the post-WWII blackmarkets. You will see the shift to its current incarnation as an otaku mecca, and also see the world’s largest statue of Confucius. Fire and water shaped the area, and you learn how it came to be called Akihabara and the very unusual location of one its primary shrines! 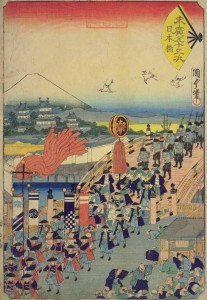 First built in 1603, Nihonbashi was one of the first bridges built in Edo and was the Edo’s commercial center. 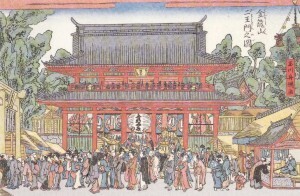 Merchants from Kyoto, Osaka, and other regions opened stores along the road on either side of the bridge, and these “Edodana” (Edo branch stores) catered to both samurai and commoner alike. There were shops selling dry goods, silk and other valuable textiles, tobacco, sweets, cutlery, and even money changers. A fish market originally created to provide fare for the tables of the Shogun and other feudal lords was set up here, and the fishmongers were soon allowed to sell their remaining catch to the commoners, making it one of the three “one million dollar a day” districts of the city. Before stopping at the current Nihonbashi (built in 1911) and taking an in-depth look at its history and impact on Edo and Tokyo’s culture and society, we will stroll along Edo’s main drag visiting the location of a well where a statute of the goddess of mercy was said to cause pure, clean water to bubble up and provide water for the entire area. The Walk will then head into EdoCastle, home of the Shogun and one of the largest castles in the world. 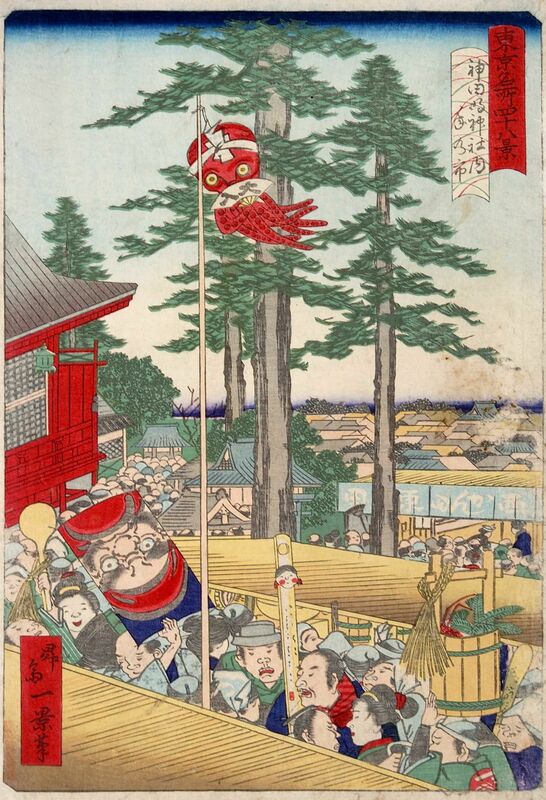 We will follow the route that the daimyo used for their monthly audience with the Shogun and examine the life of the military elite and see the areas of the former castle where two very (in)famous events took place. Explore both the High City of the samurai elite and the Low City of the merchant and commoner in this Walk through the heart of the Shogun’s city! 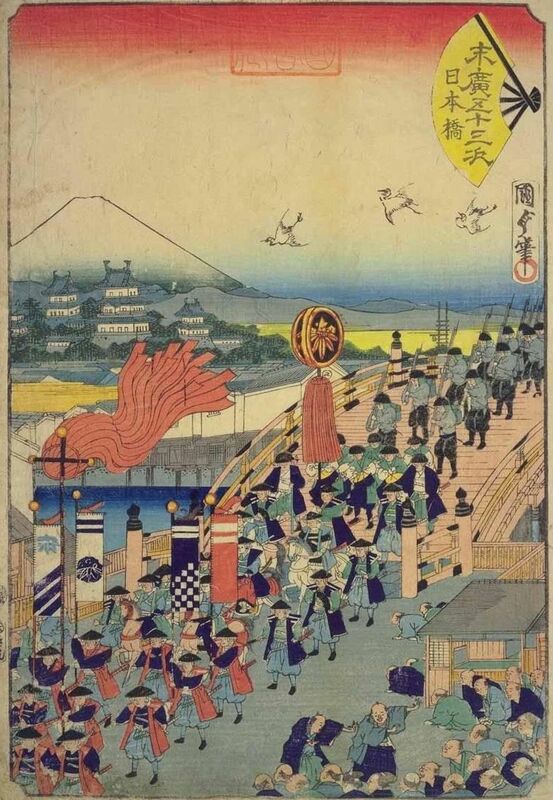 This Half-Day Walk takes you from Edo Castle, where a moment of explosive rage sets the stage, to Lord Kira’s estate, where news of the ronin’s attack sends ripples throughout the city and causes dominoes to start falling. From there, you walk in the ronin’s footsteps along the banks of the Sumida river, past former daimyo estates and current temples, and finally to Sengaku Temple, where the ronin completed their task and calmly awaited word of their fate.